Of mice and men. This series of four clips explores the context, characters, themes and writing style of Steinbeck’s popular classic. Presenter led and supported by dramatised sequences and direct quotations from the novel. Click here to listen to the audio book. Cardullo, B. (2007). On the road to tragedy: Mice, candy, and land in “of mice and men”. American Drama, 16(1), 19-29. Cardullo discusses the subplot of Candy and his dog in John Steinbeck’s play “Of Mice and Men.” Although many productions eliminate this storyline, Candy as a foil for Lennie is what makes the play tragic. George’s tragedy is quiet and comes through Candy. Cardullo touches on the adaptation of the novel into the play. Coldrey, Barry. Some American Literature “Of mice and men” . Tamanaraik Press, 2004. 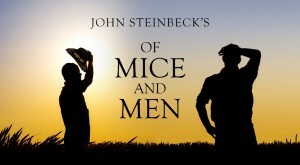 Background on Steinbeck, characters, storyline, the American dream, places and discussion of dramatic themes. Top pick! Leaf, J 2007, ‘Of mice & melodrama’, New Criterion, vol. 26, no. 4, pp. 84-87.The article reviews the book “Of Mice & Men,” by John Steinbeck. Brown, Amanda. “Text To Text | ‘Of Mice And Men’ And ‘Friendship In An Age Of Economics’”. The Learning Network. N.p., 2016. Web. 16 June 2016. – from the New York Times – Lesson plans and activities. Millichap, J 1978, ‘Realistic Style in Steinbeck’s and Milestone’s Of Mice and Men’, Literature Film Quarterly, vol. 6, no. 3, p. 241. Considers the styles of fictional and filmic realism as exemplified in the book ‘Of Mice and Men’ by John Steinbeck. Background of Steinbeck; Discussion of literary and cinematic styles. Wharton, Alexander. Live off the fatta the lan’: Steinbeck’s Salinas valley [online]. Metaphor, No. 4, Nov 2015: 33-35. Salinas, the Californian Valley birthplace and literary backdrop for Nobel-prize winning author, John Steinbeck (1902-1968) is like no other. Salinas is known as the ‘City of Letters’ due to the high number of agricultural landscape ranch workers who would write letters and send money home to their families all over the USA. While major changes have occurred in Salinas Valley agriculture, the core of the region’s success has always been its people. Individuals from many different cultures and backgrounds have merged together to make the Salinas Valley truly the ‘Valley of the World’. 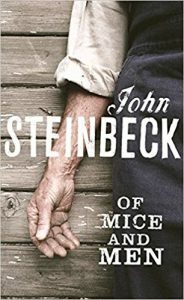 Furthermore, whilst Of Mice and Men, East of Eden and Cannery Row are rooted in this region, we must not underestimate the fact that Steinbeck’s characters and stories have worldwide appeal.